I love Spain! It could be partly because it’s in my blood with my ancestors originating from the fishing port of Cadiz. And also because I love their attitude to life, family values, beaches, scenery and ever-blue and sunny weather. Then there’s the food. This trip I’ve packed several Spanish recipe books for my initial inspiration…the rest I get from checking out the fresh ingredients in local markets and supermarkets. There’s so much stuff to choose from dinner takes a lot of decision making. 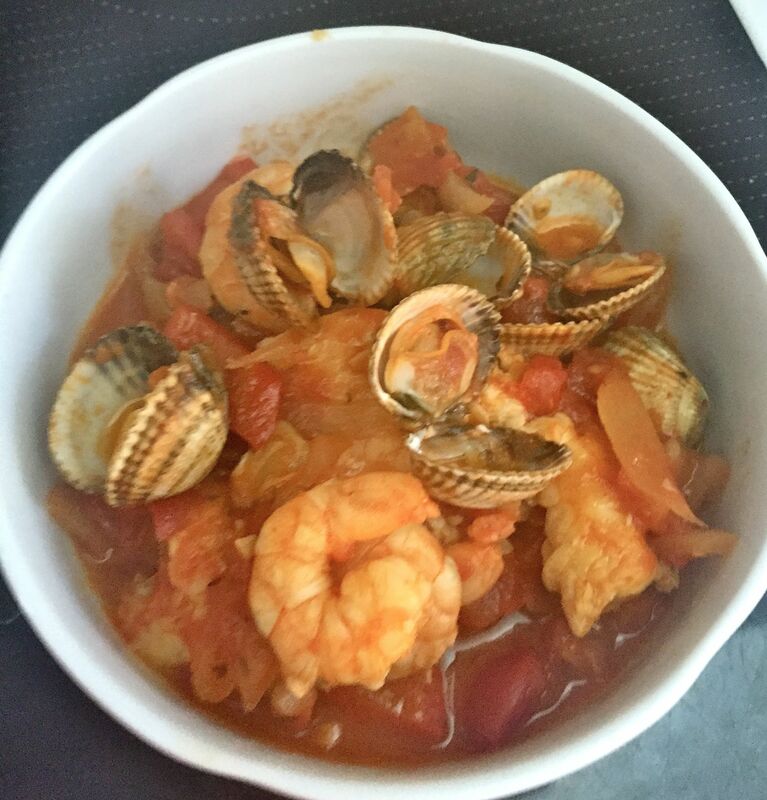 This week I decided to make a Catalan-style fish stew. Actually a pretty simple recipe that takes a little bit of time but, most crucially, you need the best ingredients. Which is easily achieved when in Spain. Two of the key ingredients in this amazingly flavoursome and fresh-tasting dish are paprika and saffron, two classic and frequently-used Spanish ingredients. So I thought I tell you what makes them special. 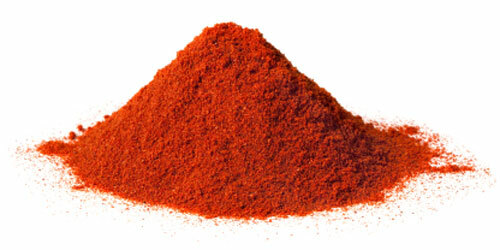 Paprika (or pimenton in Spanish) is made from air dried peppers. 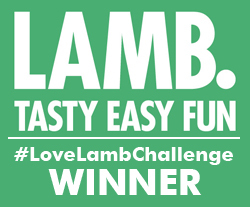 The flavours vary by country and in Spain you tend to get three varieties – dulce (mild), agridulce (moderately spice) and picante (very spicy). The peppers are smoked which gives it a wonderfully earthy flavour and the pimenton dulce has a lovely sweetness that adds a unique taste to any dish. 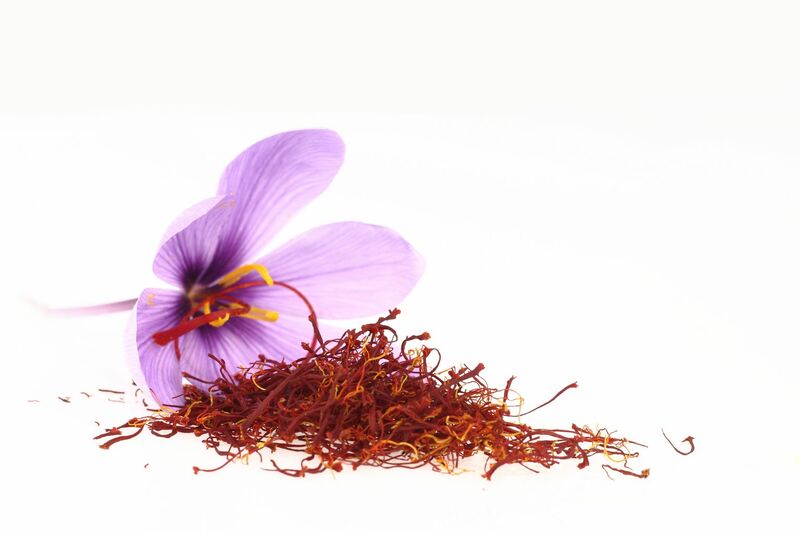 Saffron was introduced to Spain by the Arabs and comes from the stigmas of the beautiful purple crocus flower. They bloom at dawn and need to be picked as soon short as possible as the plant withers quickly and the stigmas lose colour and aroma. It’s harvested in autumn between dawn and 10am, and because of its delicate nature, it needs to be done by hand – a seriously back-pain-inducing process. 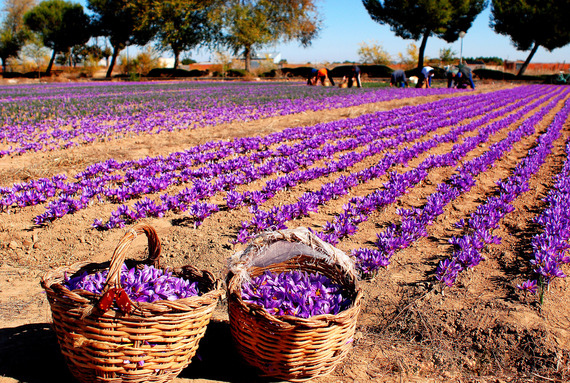 More than 85,000 flowers are needed to produce 1kg of saffron. That’s a serious amount of flowers. No wonder it’s the most expensive spice in the world. Historically, saffron has been used as a dye, in perfumes and as a drug as well as a cooking ingredient. Cleopatra is said to have used it as a seductive essence and in Ancient Greece it was a remedy to sleeplessness and to reduce hangovers as well as being used to perfume baths and as an aphrodisiac. Most of the world’s saffron comes from Iran and Spain who are generally regarded as having the best quality. And I’m happy to say that it’s sold at my local market in Spain for a bargain price – a tightly sealed box for a snip at €3. You don’t need a lot to flavour dishes, I guess this purchase will last me for about a year’s worth of cooking. So now you know all about these two amazing spices. And here’s a delicious dish to make using them, which shows how well they work together. As I’m beside the sea, the fish is all wonderfully fresh and again, great value. I used hake, prawns and clams today but you could include any kind of shellfish or white fish (like monkfish or cod). Put the saffron threads in a heatproof bowl and pour 4 tbsps boiling water over them. Set aside to infuse while you prepare the rest of the dish. Heat the oil in a pan over a medium heat. Fry the onion for about 10 mins until golden but not brown. Add the garlic, thyme, bay leaves and red peppers and fry for about 10 mins until the peppers are soft. Add the tomatoes and paprika and simmer for another 5 mins, stirring. Add the fish stock and saffron water and bring to the boil, stirring. Reduce to a simmer for 10-15 mins until the sauce reduces and thickens. Add the hake gently and spoon the sauce over it – don’t stir it in or it will break up too much. Put in the prawns and clams, making sure they are gently mixed into the liquid. 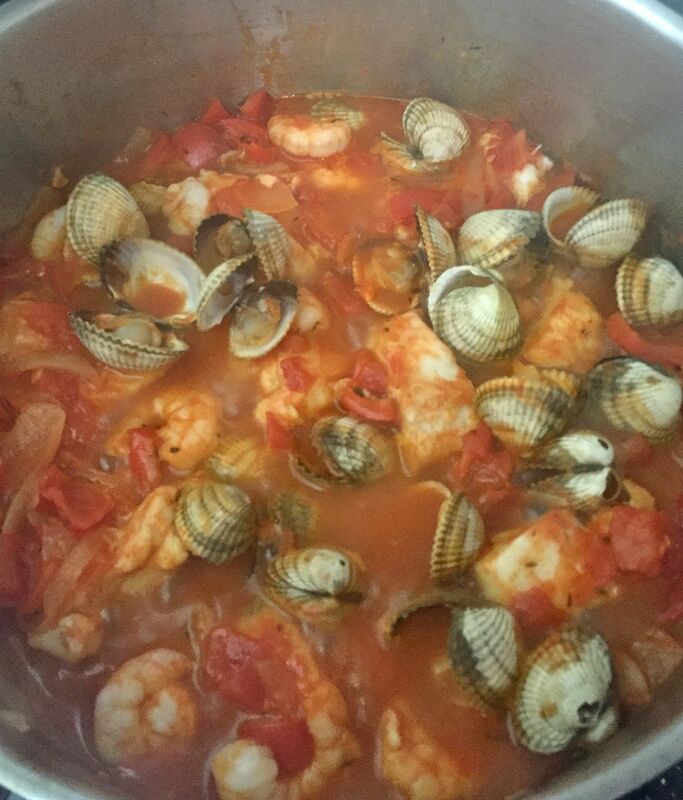 Reduce the heat to very low, put a lid on the pan and simmer very gently for about 10 mins until the hake is cooked through, the prawns turn pink and the clams open. Discard any clams that don’t. Thanks Jackie. Yes, you do really need lots of bread, don’t want to waste any of those sauces.